This A. Jaffe double halo setting is the true essence of beauty and elegance with its two rows of shimmering diamond radiance. 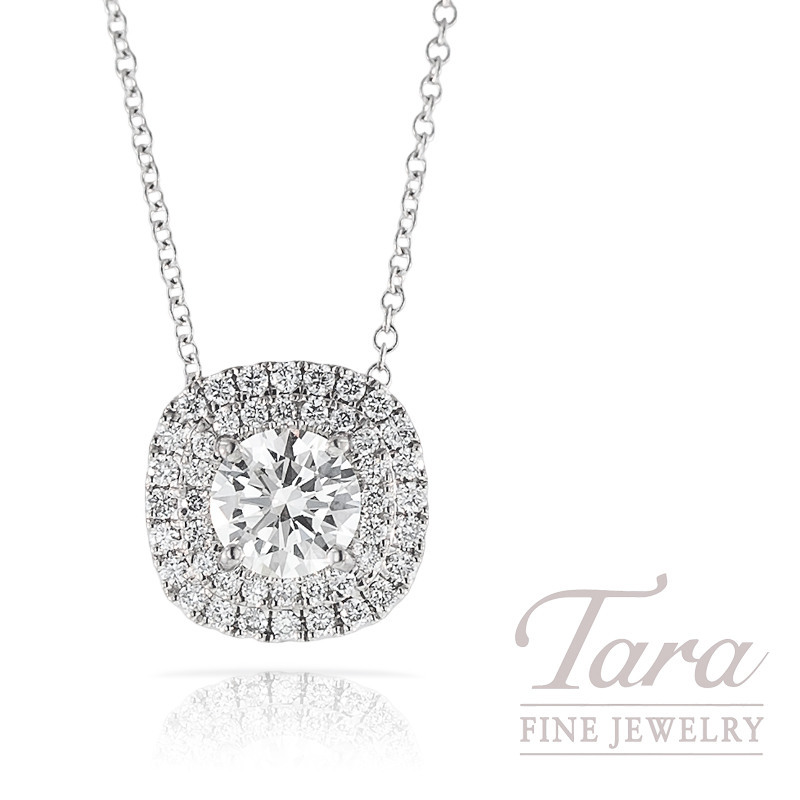 You'll love seeing your personally selected diamond set in this gorgeous A. Jaffe 18K White Gold & Diamond Pendant Mounting with 18" Chain featuring 46 stunning round diamonds, .24 CT TW. (Center stone sold separately). Tara Fine Jewelry Company, Atlanta's premier jeweler, proudly displays A. Jaffe along with top designers from across the globe in their beautiful showroom located in Buford, 3 miles from the Mall of Georgia. Specializing in diamond engagement rings and fine Swiss watches by Rolex, Omega, Tag Heuer and Breitling, Tara Fine Jewelry Company is Atlanta's favorite destination for the finest in jewelry, service and quality. This Item is Temporarily Out of Stock- We would be happy to special order it for you! Please call for pricing and availability.